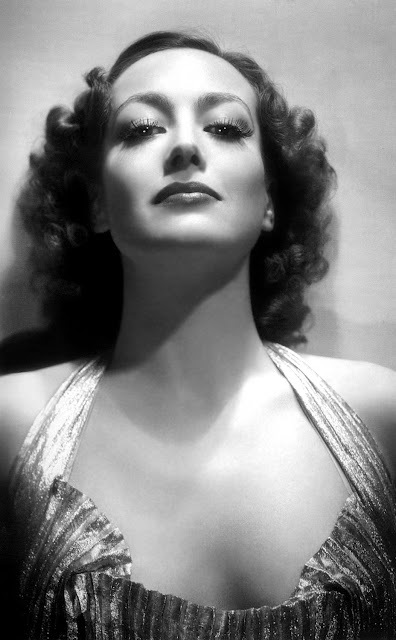 Today marks the something-or-other birthday of Joan Crawford. Maybe 112th. As many actresses have done over the years, she lied about her age a few times, so it's hard to know exactly what year she was born. I saw my first Crawford picture when they showed us Mildred Pierce in film school, and I've been a fan ever since. I'm thrilled that it seems both the kids who are into TCM are placing Crawford in context - even my generation is lukewarm on the whole Mommie Dearest business - and now it seems FX's Feud: Bette and Joan is telling an audience about the person that was Joan Crawford (née Lucille LeSeur), and using the amazing What Ever Happened to Baby Jane? to do so ain't all bad. She was born in San Antonio and lived in Lawton, Oklahoma - both places our own Jamie lived. In fact, I believe Crawford's childhood home was only about two blocks from Jamie's childhood home. If you've never seen What Ever Happened to Baby Jane?, do so, and then watch Feud: Bette and Joan. And then watch Mildred Pierce. And then Grand Hotel. She's got dozens of movies in her history. Not all of them are terrific or hold up, but it'd be nice to rehabilitate Joan Crawford's memory a bit and for her to be more than Faye Dunaway overacting. 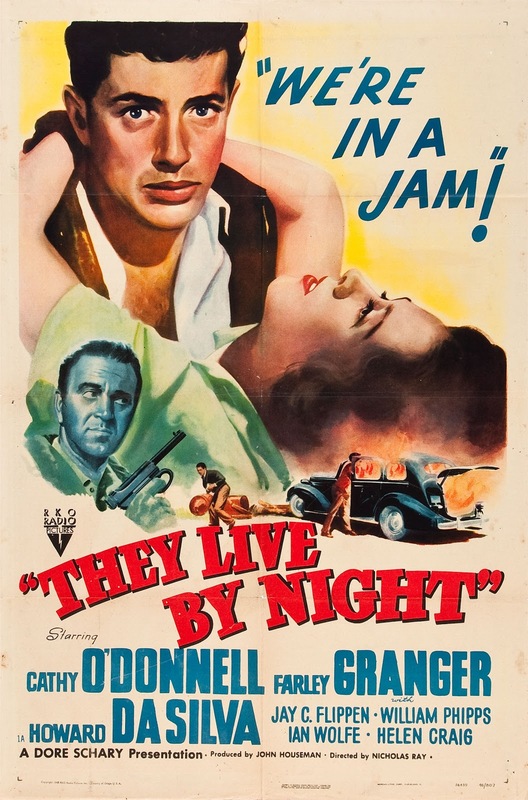 I remember trying to watch They Live By Night (1948) a decade or more ago when I was still narrowly defining "noir" as folks in hats in urban settings with tough-talking dames. Truthfully, I didn't get it. I made it about 40 minutes in and then threw in the towel. But along the way, I've heard They Live By Night referred to so often, I began to feel downright guilty I'd never finished the movie. Maybe it's been in context of the career of Nicholas Ray, or a post WWII film that was reflective of the Depression-era storytelling that was still happening in the first years after the war. It's never given a top-billing-of-noir placement, but when writers who know noir start talking, eventually this movie gets a mention. And, as it turns out, deservedly so. Three convicts escape from prison and hole up with the brother of one of the convicts. The youngest convict, Bowie - in for killing a man - seems to just want to get away, even as his colleagues want him as the third man necessary for committing bank heists. Bowie meets Keetchie, the daughter of the guy they're hiding out with, and they begin to fall for one another. After the three convicts pull another heist, Bowie and Keetchie go on the lam together, splitting off for the other two. And, of course, things get complicated as the two bounce across the middle of America trying to keep ahead of both criminals and the law. In many ways, They Live By Night is ground zero for the films that would come after it. Bonnie and Clyde. Badlands. Hell, even Gun Crazy is a funhouse mirror version of this movie in which morals are turned upside down. Farley Granger who plays Bowie would also appear most famously in Hitchcock's Rope and Strangers on a Train. And you can see why Ray wanted him in the film. He's got a certain innocence and you can believe he really does want to do what's right if he had the slightest clue what that looked like. And, just as much, you can believe that Keetchie is the best thing that ever happened to him - maybe the only good thing. Keetchie is played by Cathy O'Donnell, who had previously appeared in The Best Years of Our Lives (an amazing post-war film), and would later appear in Ben-Hur. Because the story has been copied over and over in many forms since, there's something weirdly modern but all-too-familiar about the movie. It's noir, so one can expect that things won't end well for the players involved, who can't make the right moves at the right times as forces bigger than them work against them. Even the roadside wedding chapel bit reappears in a number of noir films - a sign of hope and purity made a little cheap and tawdry, something compromised about what's supposed to be a grand occasion. Visually, the film has a few components that make it stand out, not the least of which is helicopter-mounted camera shots already in 1948, following cars blasting through prairies and dirt roads of rural America. They Live By Night is a movie well worth checking out and I much more get how it fits in with the genre, especially in the non-urban branch of the genre, the hidden back alleys just off Main Street USA. As I mentioned previously, as a TV series, Twin Peaks managed to limp along for most of the second half of the second season. You could feel the writers realizing they'd taken a bad turn and trying to right the ship in the final few episodes, but the good continues to be outweighed by the bad. Lost in all this was Harry and his plotline with Josie. And from what I can find online, Michael Ontkean who played Sheriff Harry Truman walked away from the show fairly bitter about the whole experience. And I can hardly blame him. That said - the final episode of the show, directed by David Lynch with writing by Mark Frost, Robert Engels and Harley Peyton, returns the show to form. Doing such a good job and creating some of the most memorable moments of the entire series that it's easy to forget the meandering path we took to get there. 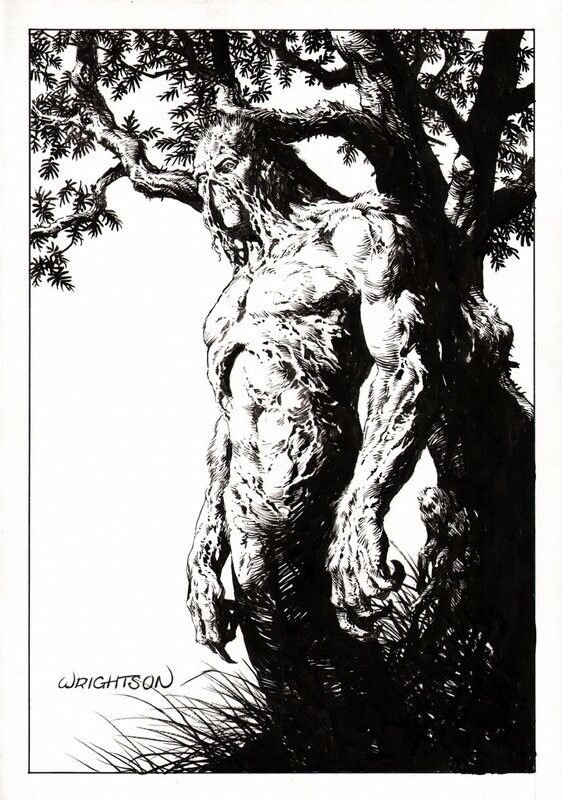 Artist Bernie Wrightson of Swamp Thing, Frankenstein and Cycle of the Werewolf fame, has passed. He had been fighting cancer for some time. Last weekend Turner Classic Movies' Saturday night programming block "TCM Underground" showed Thrashin', a 1986 movie about skate boarding. So, of course I set the 'ol DVR. No, this is not Gleaming the Cube - which I've never seen, and came along 3 years later. Most of the marketing for Thrashin' I was aware of came in the form of an ad or two appearing in my comics at the time. So, check the backs of your 1986-era comics to see if you, too, have a back-cover ad for this opus.